11 Ajaw 13 Ch’en. Drawing by Jorge Pérez de Lara. We dedicate this blog posting to our dear friend and Maya colleague, Ana Patricia Martínez Huchim affectionately known as Pati. We lost her to cancer July 27th of this year at the age of 54. Born in 1964 in city of Tizimin, Yucatan, she lived there with her extended family all her life. She had been an active member of Mayas for Ancient Mayan (MAM) since 2006 and dedicated her life to documenting and preserving the Maya language and culture. She enjoyed the ethnographic work of gathering folktales from local Maya and from Colonial and post Colonial documents, recording them and sharing them in printed publications and online. She also drew from her own personal experience as a child growing up Maya, remembering folktales told to her by her parents. We are happy to know that MAM as an organization helped her in her work by awarding mini-grants to her on several occasions, thus supplying her with resources to help her follow her dream of promoting Maya culture. With these funds she conducted Maya calendar and glyphic workshops where she taught other Mayas in the local community how to write their ancient script and calendar. My work is unique because my protagonists are Maya women, which has not happened often in literature in Yucatec Maya. I artistically re-elaborate the memory of Maya women who performed labors that were stigmatized by society. 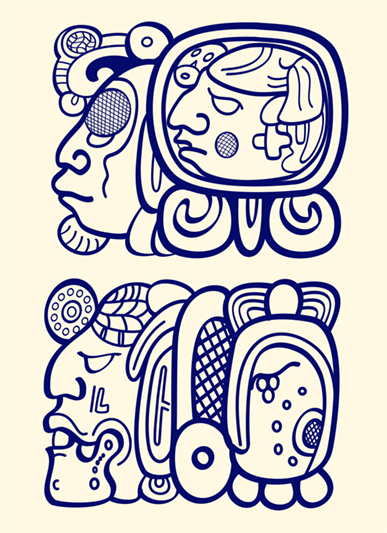 In my texts, Maya identity is recreated as part of the characters’ environment; it flows with agility to the readers’ eyes; in the everyday lives of the characters we find Maya traditions and religious beliefs, in a plot that draws in readers. And the meaning of the peoples’ names is intimately linked to their activities and ways of being.